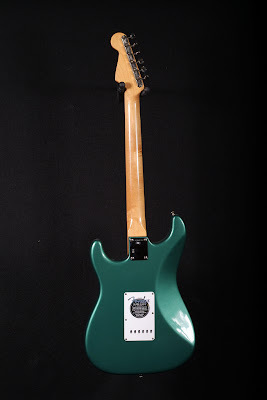 Music Machine's eBay Store is still listing a couple of the "Thin Skin" nitro Strats. These are NEW, and not pre-owned. Besides this Sherwood Green '59, they also have '57 Burst. According to the good folks at ReRanch, "Sherwood Green" was first introduced as a color option in the '57 Mercury automobile line. The deep metallic finish goes well with rosewood. 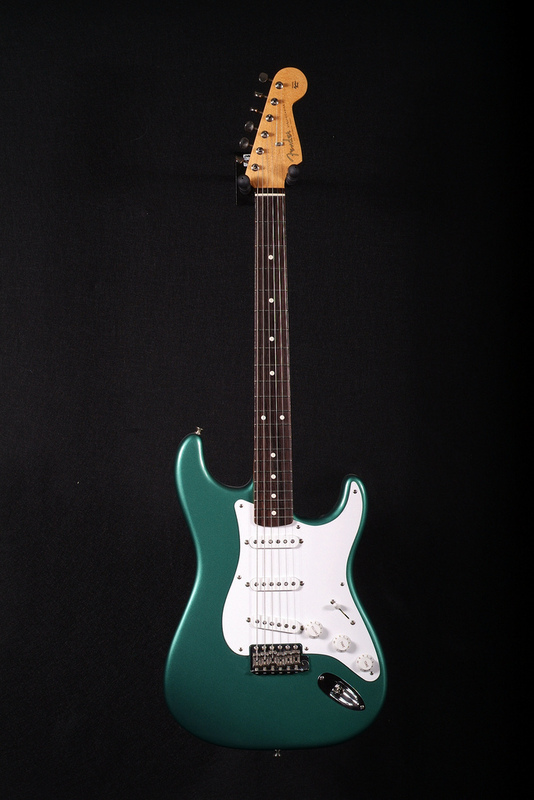 Our radius here is a 9.5 (SRV neck w/6105's), and the body is alder. The pups are "vintage voiced". These guys seem to have the best deal right now if you've been looking for this config. A cool vibe for a Sherwood with rosewood would be to age the pickup covers & knobs, and go with a gold anodized pickguard.